When the forces of nature decide to gather together, these can break down asphalt and create unwanted cracks and potholes. By using quality asphalt crack filling, you can be sure repairs can be done easily and efficiently with less inconvenience and trouble on your part. If summer comes and the weather gets too hot, the UV rays on the sun will beat down on your asphalt surface, causing it to crack and fade over time. Property owners in Kenosha, Wisconsin know all too well that dealing with these problems is very inconvenient. Asphalt cracks can be very unsightly and quickly get expensive. You have to take action and get them filled as soon as you notice them. 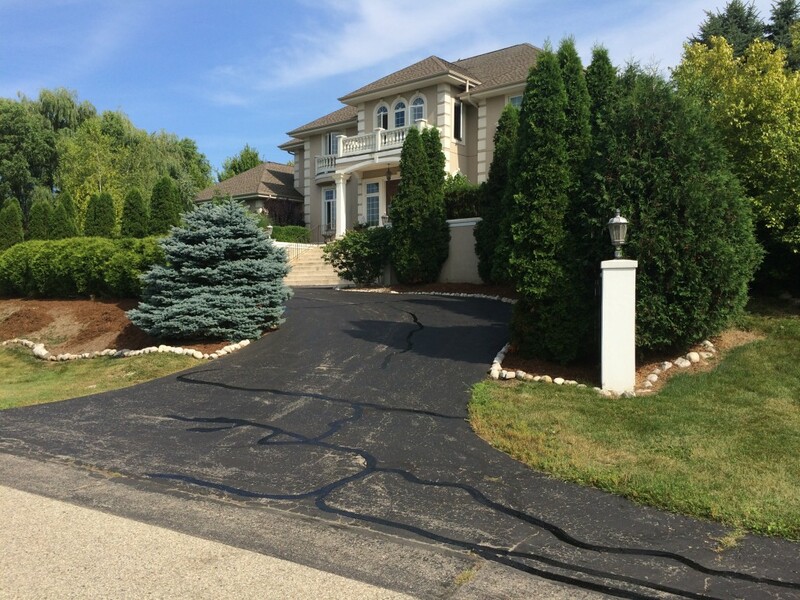 Using quality asphalt crack filling in your driveway or parking lot is the most economical and convenient way to prevent future expenses and deterioration. Cracks in parking lots and driveways can compromise the integrity of asphalt in two ways. One, these cracks can allow moisture to erode the lot’s foundation. Such damage can result to pot holes, sink holes and alligator cracking that can lead to the pricey repaving and patching. Second, cracks can also trap moisture between the two sides of the asphalt. Once water freezes and expands, it will also expand and enlarge the existing cracks. The continuous growth of cracks is the reason why it is a must to promptly repair the cracks using quality asphalt crack filling so that a repaving crisis will not arise. Crack filling is effective if the crack sealant can keep the water from getting into the crack. The moment the water enters the foundation, the foundation will start to erode and will then result in a bigger project and expense. You can save yourself from the pricey asphalt replacement when crack filling is carried out by professionals. The value of replacement can be 20 to 30 times pricier compared to a single maintenance procedure. Contact Armored Sealcoating for your free crackfilling estimate in Kenosha County today.